If you’re selling your home in the winter in Michigan, you need to prepare yourself for a challenge. These tips can make the selling process a little easier, and help you maximize your earnings. Selling can be a lot of work even at the best of times. There’s the hassle and the headache and the effort. When it comes to the seasons, selling in the winter adds additional work (especially if you live in an area where there’s a lot of snow or bad winter weather). Fortunately, just because it’s crappy outside doesn’t mean you can’t make a good impression! 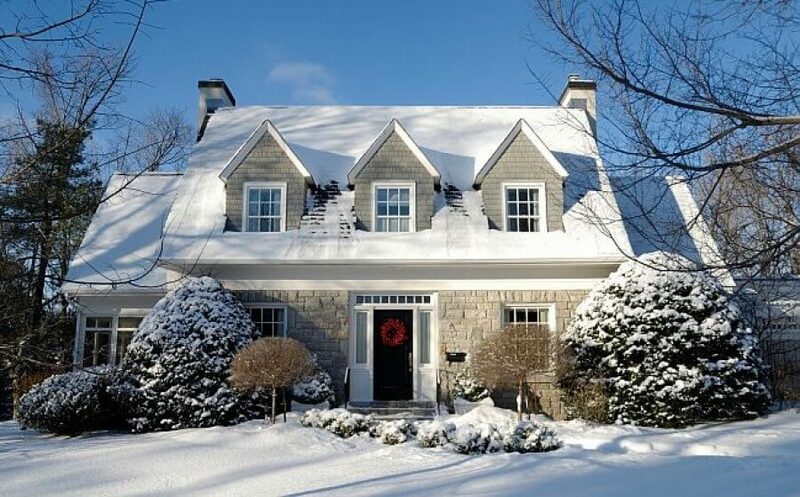 Read on to learn our top 4 tips for selling your house in the winter in Michigan! This is an easy one! Adding curb appeal is one of the most important factors for a home sale. Keep your property easy to access and looking prim and proper. Show sellers that you’re focused on maintaining the property on the outside, and they’ll assume you did a great job on the inside as well. Encourage your potential buyers to remove their boots or shoes. Simply leaving a mat by the front door will show them you care about maintaining their potential new home, and gives them a place to put their belongings. During the winter season, different cultures have different celebrations. Avoid appealing to one holiday tradition while alienating another. Instead, decorate for winter with wreaths, snowmen, and other neutral, family-friendly decorations to make your house feel festive and welcoming to all. Adding these gives your house a warmth that helps potential buyers feel connected. Selling your house in the winter can be a lot of work. You can use these tips to help you keep your home looking appealing. It’s all about showing potential buyers that you care about the property. Does this sound like a lot of work? There’s another way that takes much less work, time, and mess. You can sell your house directly to us here at Cash Buyers Macomb. Click here now and fill out the form or call us at 586-307-4330 to discuss your property sale.